On July 6, 2002, just shortly after Brenda Cobb's book The Living Foods Lifestyle was published, CNN featured Brenda as an expert guest on their Saturday morning Summer Shape Up program. Brenda's book cover was shown on the segment before she started speaking. The interviewer focused on the weight loss aspects of the Lifestyle, which can be quite dramatic. Brenda herself lost 72 pounds in just three months on the program. 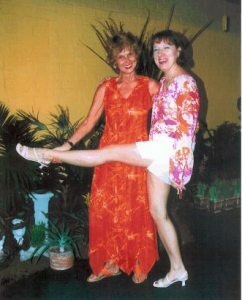 Since the program takes people to their ideal weight, Brenda emphasized in particular the nutritional value of the Lifestyle and the importance of eating raw and living foods for their enzyme value. Brenda Cobb is the author of The Living Foods Lifestyle, Living Soul Publishing; the host of "Living Well" a bi-weekly radio show on WGUN 1010AM; and Founder and Director of the Living Foods Institute in Atlanta, Georgia, where she teaches classes in the Living Foods Lifestyle. In February 1999, Brenda was diagnosed with two kinds of cancer. Having seen the cancer return in family members who had the usual treatments of surgery, radiation therapy and chemotherapy, Brenda decided to find another way to heal. 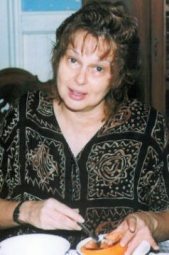 She adopted the Living Foods Lifestyle, as originated by Dr. Ann Wigmore. Within six (6) months the tumors had dissolved, she had lost 72 pounds, her eyesight improved, and her hair had returned to its natural color. She decided to leave her successful career as a television producer so she could develop a place where people could learn how to live this lifestyle. To date, the Living Foods Institute in Atlanta has had more than 1000 students. Her book, The Living Foods Lifestyle, details her story and describes some of her students' success stories. It describes the 10 day program at the Institute and includes 58 raw and living food recipes. Brenda is now dedicated to "healing the world, one person at a time." For more information or to attend a FREE Living Foods Seminar, including a FREE Living Foods meal, call 404-524-4488 or visit them on the web at www.Livingfoodsinstitute.com. 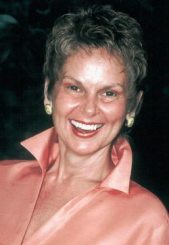 On July 27, 2002, Brenda Cobb, founder of the Living Foods Institute in Atlanta, launches her new book, The Living Foods Lifestyle, detailing her own amazing story of healing from cancer and the stories of many of the Institute's students, whose diseases and physical symptoms included cancer, AIDS, depression, candida, menopause, and obesity. Brenda and many of the people whose stories are told in The Living Foods Lifestyle will sign copies of the book from 6 pm to 9 pm at the Institute. In February 1999, Brenda was diagnosed with breast and cervical cancer and advised to get surgery, chemotherapy, and radiation therapy immediately. Other members of her family had taken that course, and the cancers had returned. So Brenda looked for a natural way of healing and adopted the Living Foods Lifestyle. Within months, her tumors had dissolved, her gray hair had returned to its natural color, her eyesight had improved, and she had lost 72 pounds. She also was relieved of her arthritis, allergies, depression, acid reflux, heartburn, and indigestion. She had new energy, felt years younger and was healed in body, mind, and spirit. She decided to share her success with others through the Living Foods Institute she founded in Atlanta. It is the only program of its kind in the country. Her book describes the Living Foods Lifestyle, which is more than a food plan, and tells the stories of many of the people who have experienced similar healing success from the Lifestyle. People with asthma, diabetes, heart disease, AIDS, candida, hypertension, chronic fatigue, fibromyalgia, arthritis, allergies, and several kinds of cancer tell their stories of healing and will be available on Saturday, July 27, 2002. In addition, people seeking alternatives to hormone replacement therapy tell how the Living Foods Lifestyle ended their "personal summers." The book also includes recipes and details on how to prepare raw and living foods. A gourmet cook before she adopted the Lifestyle, Brenda has developed many tasty meals, dressings, and desserts that are also healing. This is the first comprehensive book on the Living Foods Lifestyle to be published in more than 20 years. Recently interviewed on July 6 on CNN's Saturday morning Summer Shape Up feature, Brenda has appeared on several Atlanta television and radio shows and will host the Book Signing and Living Foods Feast at The Living Foods Institute in Atlanta on July 27 from 6 to 9 pm. The Living Foods Lifestyle can be ordered by calling The Living Foods Institute at 404-524-4488 or by visiting the website at www.livingfoodsinstitute.com and sending an email to info@livingfoodsinstitute.com. Joanne and Brenda celebrating their size 6 figures! The Living Foods Lifestyle--for abundant health, beauty, energy, joy, happiness and peace by Brenda Cobb-Anyone can have good health and happiness if they are willing to do what it takes! 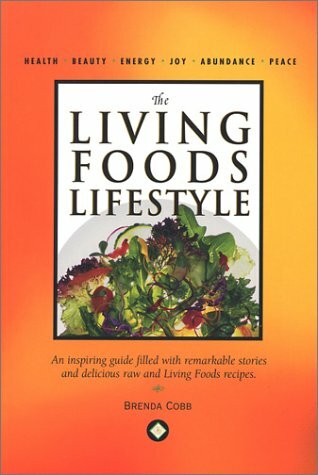 This inspiring guide about the Living Foods Lifestyle is a must read for anyone seeking knowledge about the natural way to heal the body, mind and spirit. It's a remarkable story of how Brenda Cobb turned her own health challenges into a mission to help heal the world. It's not just a diet, but a whole new way of thinking that really changes lives. Her delicious recipes and practical advice have empowered people around the world to take charge of their own health and well-being and take control of their lives. and sending an email to info@livingfoodsinstitute.com.